I really enjoyed this book! It really got me engaged with the characters, and I’m definitely more of a character person than a plot person. If a book has a brilliant plot but the characters are awful, I just won’t keep reading, but Talli’s characters had me entranced. Mattie, the heroine, starts off as such an unpleasant person you just love to hate, but by a couple of chapters in you are completely on her side and desperately want to her to come out ok. My favourite character, though, is her best friend Jess, who is the perfect best friend but very human and makes a couple of big mistakes. All of the characters have their own – shall I call them quirks? 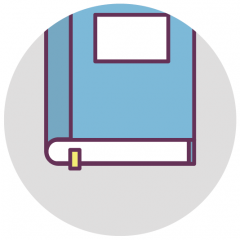 – and their individual journeys are very well-written. I really don’t want to go into too much detail and give away any spoilers, but I highly recommend this book when it’s released. It is funny, touching, a cracking story and, as I said, very real and engaging characters. I can’t wait to read more from Talli, I’m sure we’ll be hearing a lot more about her in the not-too-distant future! 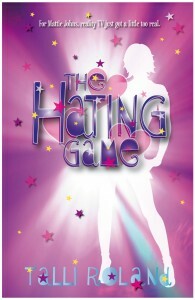 The Hating Game will be released on Amazon as an ebook on December 1st and subsequently in paperback. As I said, I’ll be blogging again on release date, so check back! I’m so happy you enjoyed it! Thank you so much for the review and for taking the time to read it – and for your support in the upcoming Web Splash! I’m still reading it, so many thanks for not posting any spoilers and just telling us what you enjoyed about the book. Great preview!